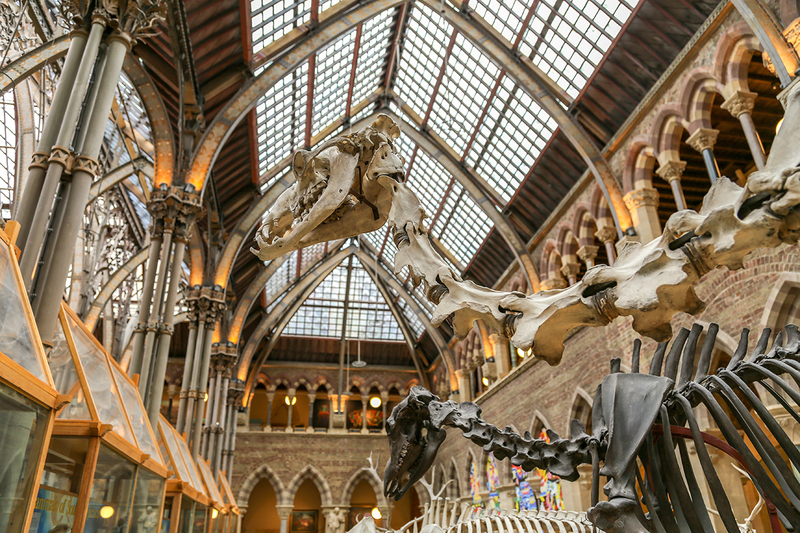 The parade of skeletons in the main court is one of the Museum’s most photogenic displays. 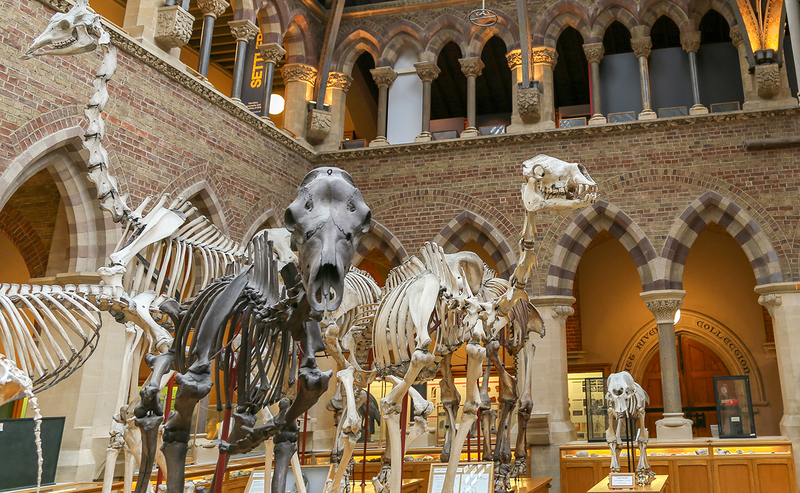 Even just a quick glance at the line-up reveals some of the great diversity of evolutionary adaptations of these large mammals. Skeleton of a male American Bison (Bison bison). This animal came from Canada, near the Mississagi River and was presented to the museum by Lord Wharncliffe in 1868. Horse skeleton (Equus caballus) with bison in background. 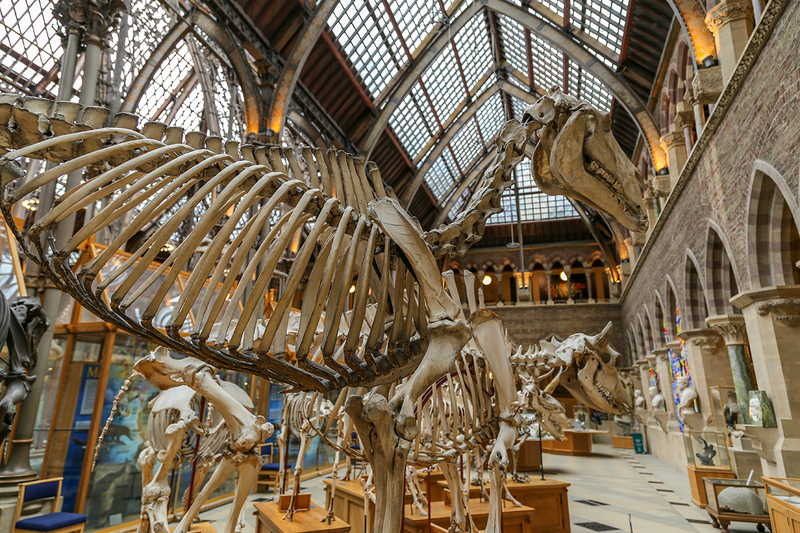 From the long neck of the giraffe to the robust but slender limbs of the horse, the parade of mammal skeletons provides a striking example of the similarities and differences found in four-legged hoofed animals. 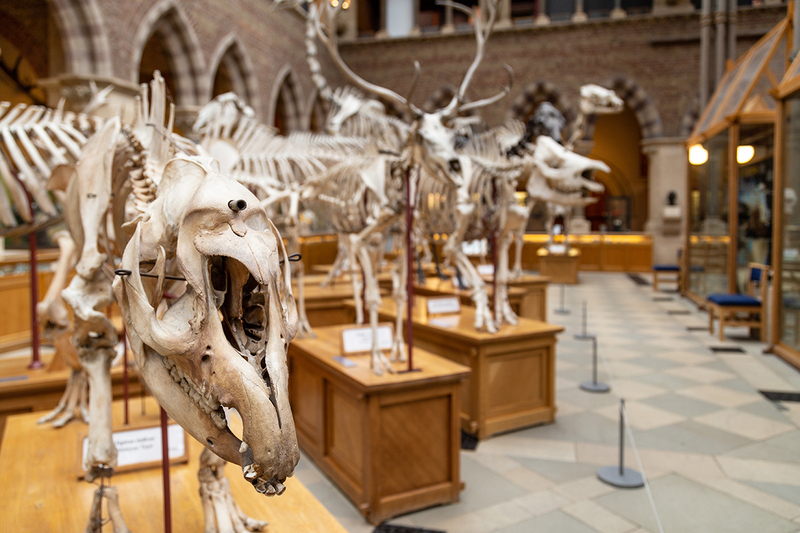 The study of such differences in the bodies of related animals is called comparative anatomy; in the skeleton parade you can compare the different skulls, horns, antlers, teeth and limbs to see how evolution has shaped every part of the skeleton for speed, defence, hunting or feeding. In the parade are a polar bear, pig, bull, red deer, bison, horse, giraffe, camel, rhinoceros, reindeer, tapir and the extinct Irish elk. 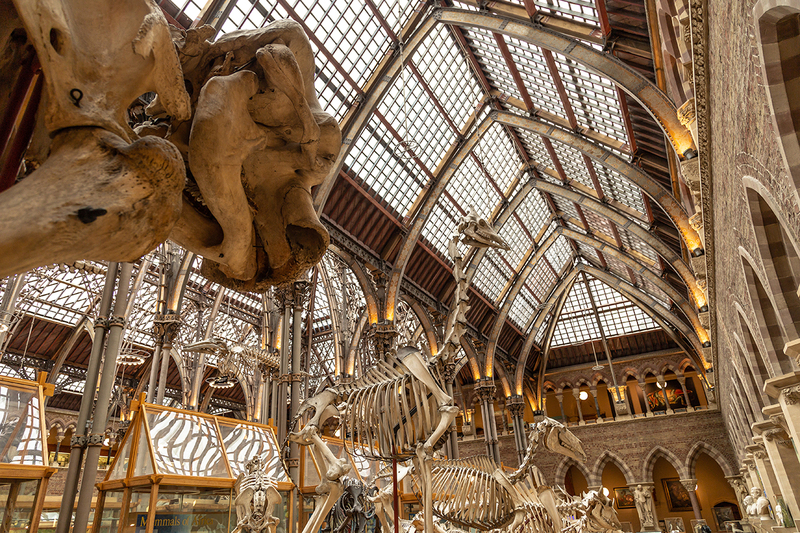 Towering over the end of the parade, and dwarfing visitors, are the huge skeletons of Asian and African elephants. Skeleton parade specimens are just a small sample of the animal skeletons that are looked after by the museum. 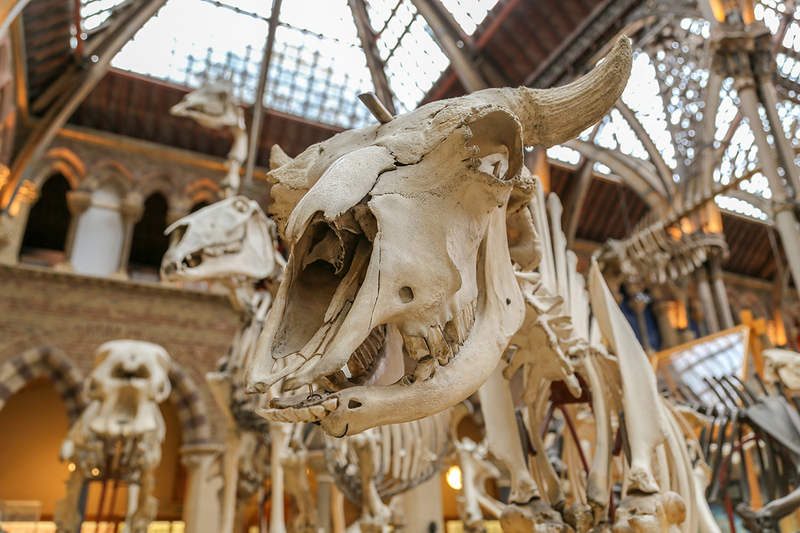 The main collection of skeletons is carefully stored in behind-the-scenes spaces. 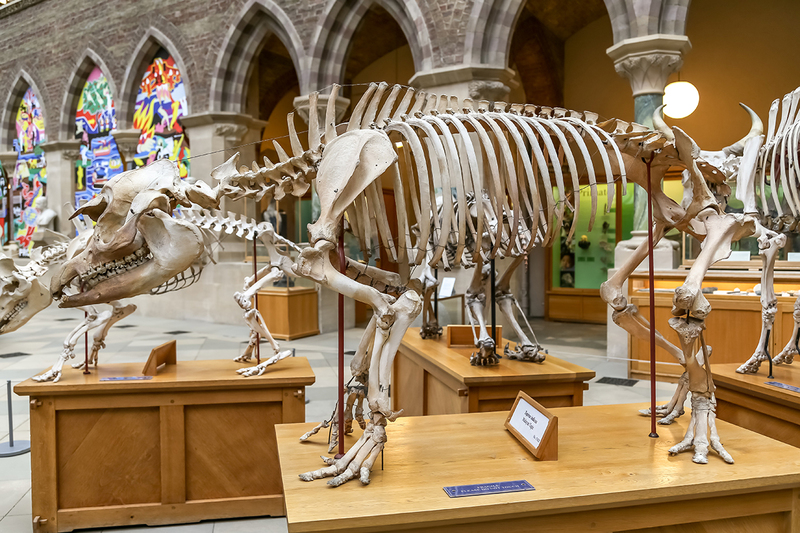 Read our blog to find out more about what skeletons can and cannot tell us about the lifestyle, appearance and behaviour of a living animal.